Hair dryers are used for drying hairs quickly, for blow drying in making hair styles, hair rebounding and also for making curls. The feature of temperature adjustment of hair dryers helps the users to adjust the temperature according their need and hairs. Thick hairs are considered as a big problem but let me share my story with you of a time when I was a child I was worried about my thick hairs because my mom, my friends and even beauty saloon used to criticized me on basis of my hair texture so I remained worried throughout my childhood but gradually I grew up and came to know my hairs are my life. Thick hairs are not as complex as I thought about and time is getting changed every day and new creams shampoos are coming in market and technology is getting advancement which made easy to handle the hairs but it get completed with hair dryer option. My first choice in dryer is Aliza hair dryer that has distinct features and temperature control that made my life easy. Finding right dryer for your hairs is difficult decision and particularly if your hairs are thick like me that are not easy to control or to give style. But I recommend you to try my choice because now I can easily tackle my hairs and now it’s easy for me to give different styles to my thick hairs with Aliza. Thanks Aliza for this great gift. This is a kind of blow dryer I most frequently use after washing my hair, and believe me it’s really time saving machine and have long cord so it does not bother me to rotate my wrist around my head. If you people are facing with split ends, breakage and damage due to heat styling devices, so you should go for a dryer that is particularly designed to prevent you from taking further stress about your hair problems. First a good dryer like Aliza will dry up your strands as quickly as you want with use of temperature button on dryer, it will minimize hair damaging caused due to over heating or too much hot air blow while nozzle type structure in dryer will allow you to get fizz free smooth hairs. Plus point is its unique design and colour make it more attractive, it’s looking so great on my vanity. This is 21st century guys and it is obvious that taste and trends are kept on changing day by day, it’s the time of change innovation and creation in everything especially in women fashion. Women are very conscious about their beauty and hairs look are priority for them. 2018 is going to be filled with fashionable and trendy looks in hairs. It’s going to be a year of no fuss textures in hairs. So it arose the need of flat iron. But allergic reactions and other side effects of hair straightening are extremely unwell and unpleasant for users. As women are conscious for their hairs texture and looks so they won’t try everything on hairs. 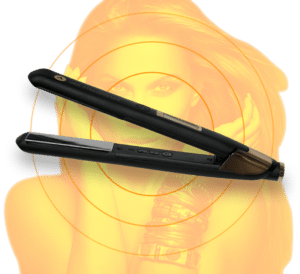 But don’t you worry about allergic reaction, itching, hair damage and other side effects because ALIZA brings you the best straightener that is free from all these worries, is equipped with all safety measures. 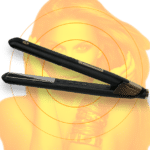 It straightens with ceramic plates so if you look for quick heat make Aliza as your first choice that heats up as quickly as you want and another attracting feauture you want is its adjustable and wide temperature range, it also offers you with choice in sizes of plates to grab a strand of hair without being too difficult to operate. It not only let you to get rid of frizzy and fuss hairs by straightening but gives its people with option to curls with it or to make beach waves in hairs. So what are you waiting for make Aliza’s as your first choice. Clamp the Aliza Straightener just near the hairs roots. Smooth down your hair with brush and get your hairs a more fairer and classy look. 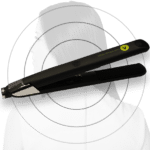 Choose first section of hairs and Place ALIZA’S Hair straightener at the top of strand of hairs that should be between 1 to 2 inch thick and turn it one-and-a-half turns away from your face. “Set” all of your hair in this manner. 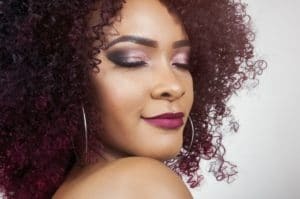 When all of your hairs get curled and cooled, release the clips, brush your hair gently with boar bristle brush and spray again with hairspray. Again take out ALIZA’S Hair straightener and place it midway on the strand not to start from roots. Okay, stop twisting when you reach about an inch or 2 from ends and just leave reaming strand smooth. Release the ALIZA’S Hair straightener. Move to the next section and repeat the process. Remember one point that you have to direct right and left section away from face and other towards your face. Are you done, use your fingers to blend and mingle your waves.